Dimensions: L23 x W10 x D4 cm approx. Curious and quirky, this Silver Aluminium 'Hand In Glove' Ornament by Diesel Living with Seletti is sure to be a talking point. The near life-size skeleton hand and forearm sculpture will make an unusual decorative addition to many homes, offices and commercial environments. 'Hand in glove' used to mean working closely together for a dishonest purpose, but hopefully this ornament won't try and sway you into dodgy dealings! The detailed ornament with luxurious silver finish is part of the 'Wunderkammer' collection. 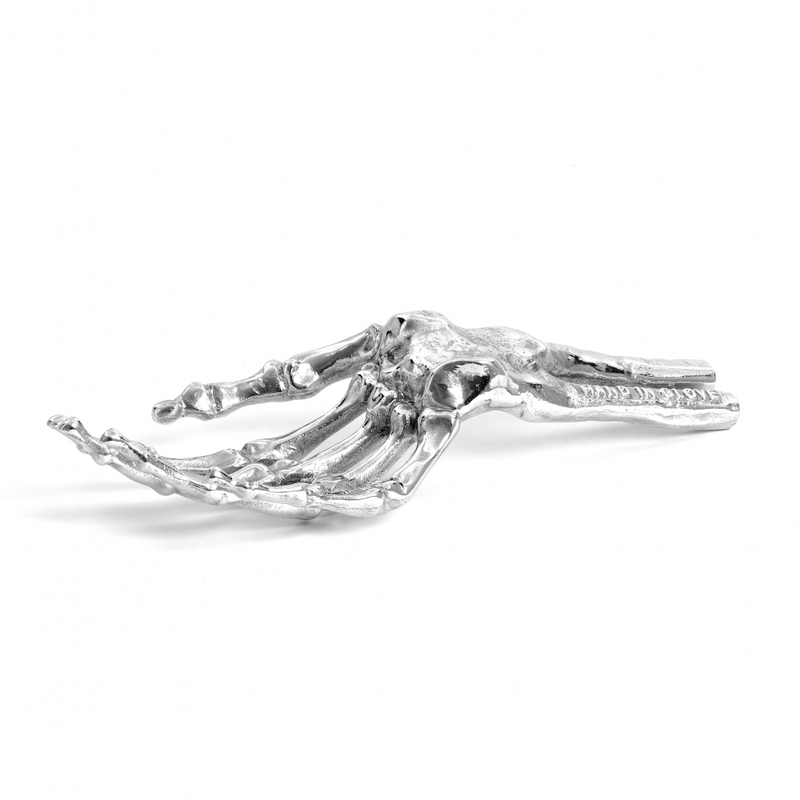 Presented in a Seletti gift box, this 'hands-on' skeletal sculpture would be an original gift and a perfect Halloween decoration.